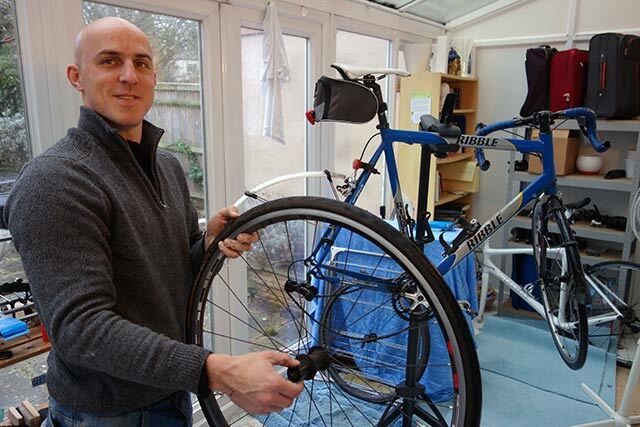 A good cycling friend – Andy Sherwood has set up a new business – Sherwood Cycles It is aimed at offering mobile bike repairs throughout Oxfordshire and surrounding areas. I’ve known Andy for quite few years, we did a few hill climbs together back in 2004/05. Sherwood is not a bad cyclist himself, and did two 24 hour time trials, reaching 400 miles plus in both. With seven bikes, I’m a big customer of bike repair services. My training and commuting bikes need fairly regular simple maintenance (cables/ cassettes / chains) My racing bikes are also a real pain – regularly needing tricky servicing. This is especially true since my latest Trek Speed Concept is now Dura Ace Di2 11 speed. I have 8sp, 9sp, 10sp and 11sp bikes. Wonderful compatibility problems. Especially, when you are trying to fit a Quark Power meter. Viva Bellissimo bikes are a combination of European classic design with practical features to make an eye catching commuting bike. They are produced by a Danish firm who have tried to make ‘beautiful bikes for discerning bike riders’. I was inspired to write a review of Viva Bellissimo because they are genuinely eye catching and elegant. The Viva Bellissimo comes in a variety of options. The first is the Single Speed Bellissimo. 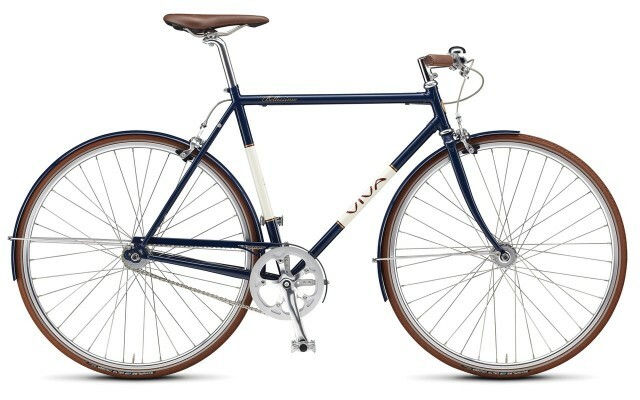 The one I tried was this 7 speed Viva Bellissimo. This was good fun to ride. Not quick, and a little heavier than what I’m used to. However, the Viva Bellissimo exudes class. It is well built and catches almost perfect aesthetics. The paint work is excellent, there is a real gleam to the way it looks. Everything else has a classic simplicity to it. For example, the wheels especially. If you’re looking for a classy commuting bike to really appreciate, you will be happy with the Viva Bellissimo either 1 spd or 7 spd. Just don’t expect it to be quickest off from lights… But, it is a head turner. Even people not into cycling will admire this. Perhaps it is just the dark blue / white which particularly appeals. However, no matter how pleasing the design, there is much more to a bike. The set up is fairly solid. The frame is Cro-Mo Steel. This gives a forgiving and comfortable ride. 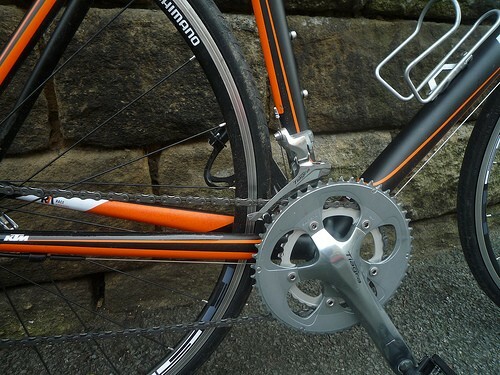 Nice touches are the integrated mudguards and chain guard; there is a careful attention to detail. Very useful are the Schwalbe 28 inch tyres with extra puncture protection. The women’s version has a step through frame for ease of use. 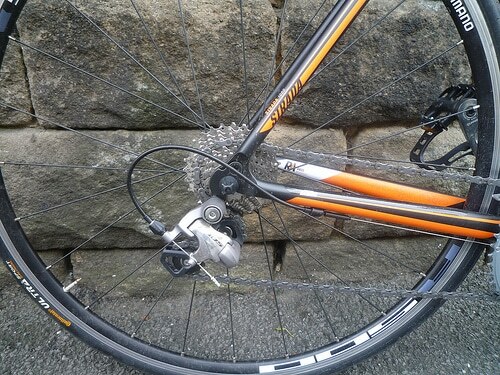 For those who want gears, the Viva Bellissimo 7 offers 7 speed through a convenient hub gear system (Shimano Nexus). The hub system is slightly heavier than standard derailluer system. The hub system is easier to maintain and looks much cleaner on the bike. It is easier to change. For example, if you are stuck at lights, you can change gears and it changes straight away – you don’t need to worry about pedalling to put chain in new sprocket. 7 Speeds gives much greater range of flexibility. For hilly cities the one speed could be a bit cumbersome when you try to pedal the 12 kg bike up a steep hill. 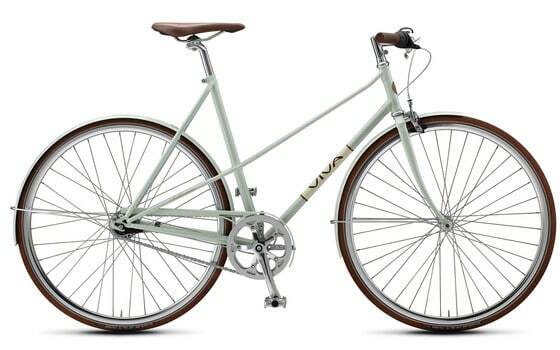 The Viva is designed to be ridden with joy, 7 speed makes this easier to achieve. Also the 7 speed hub system avoids the need for derailleurs and cassette rings, enabling the bike to retain the look of a single speed. At prices starting from £600 upwards, Viva is not competing on price. But you do get the kind of bike you can become really attached to. It is enjoyable and easy to ride and has great aesthetics to boot. I’m sure this bike would be quite popular on cycle chic photo blogs. Also, Evans sometimes have sales – and if you buy at right time you may get for under £500. Though unfortunately, Evans Cycles don’t seem to be stocking new model. I think this is pretty good value for the chic end of the hybrid market. The bike is based on a 6061 Aluminium frame and carbon fork. The aluminium frame is well built and takes corners well avoiding any under or over steer. 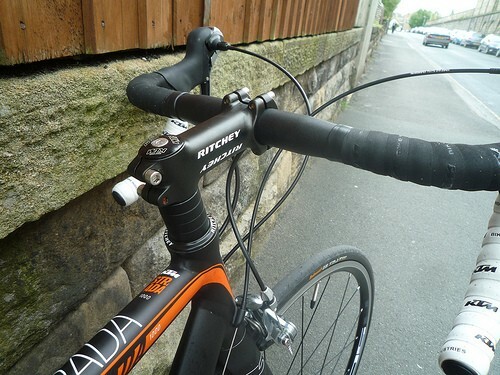 It is well balanced and a good build for a first time road biker. The compact groupset give a good gear range, and the bike overall gives a solid road bike feel. There will be no problem in using this for long sportives and even first road races. 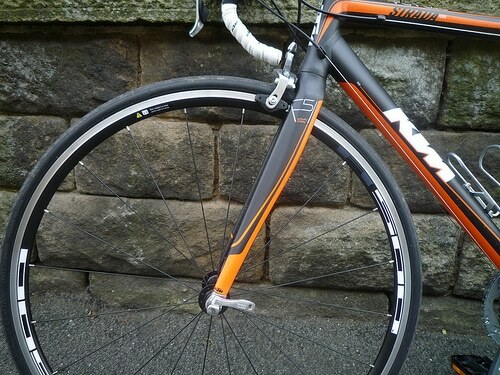 A carbon fork is these days a real must for a bike sub £1,000. Generally, they add a lot to the riding experience. This feels a good quality carbon fork, which helps absorb shocks in the road and give a more comfortable ride experience. The mixture of Shimano Tiagra and Shimano 105 make very smooth gear changing. I always find Shimano Tiagra / 105 to be a big step up from the (Sora) level below. I’m not a big fan of black, but the black and orange trimming is pretty distinctive and overall they’ve done a good job. To keep costs low, there is only one colour choice. To get a different colour you would need to buy a different model. The Strada 2000, with better groupset is just another £200. Compact gears 50-34. Rear cassette 12-25. Triple chainring option available. 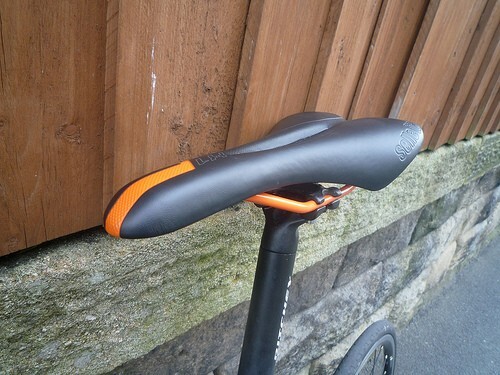 The Selle Italia X1 Man saddle is a good addition, and there are no really weak parts on the bike, which make you want to upgrade straight-away. The best thing about this bike is once you’ve bought, you’re pretty much up and away. One downside of the bike is that it’s only for sale in limited places. It’s a good bike, but given level of competition at this price range, it’s not worth travelling a long way to buy. It holds its own in the important sub £1,000 price bracket, but more established names like the Focus Cayo or a Trek 1.2 are hard to beat. Smooth integration of carbon fork and aluminium frame. Tiagra brakes OK, but, there are stronger ones out there. One of the more underpowered aspects of the bike. Don’t be put off my unknown name. The bike rides well, and it comes equipped with a competitive groupset and nice features. Thanks to J.D. Cycles of Ilkley for test ride. I received a loan of a Trek Emonda SLR 9 for the last week of the hill climb season, where I finished 4th in national hill climb on Pea Royd Lane. For the national championship I customised the Trek Emonda to get the weight down from 6.4kg to 5.1kg. Details of the hill climb bike are below. This is a general review of the Trek Emonda. The Emonda is designed for those most interested in climbing. The frame is based on the OCLV series carbon used in the Madone series – which has been Trek’s flagship model for quite a few year. For the Emonda, Trek have sought to reduce weight wherever possible, whilst retaining the strength and rigidity of the frame. The top of the range Emonda is the SLR 10. This is a real show-off bike, with ridiculously light and expensive components (like a Tune saddle, Tune wheelset, SRAM RED 22 gruppo and Bontrager Speed Stop brakes. 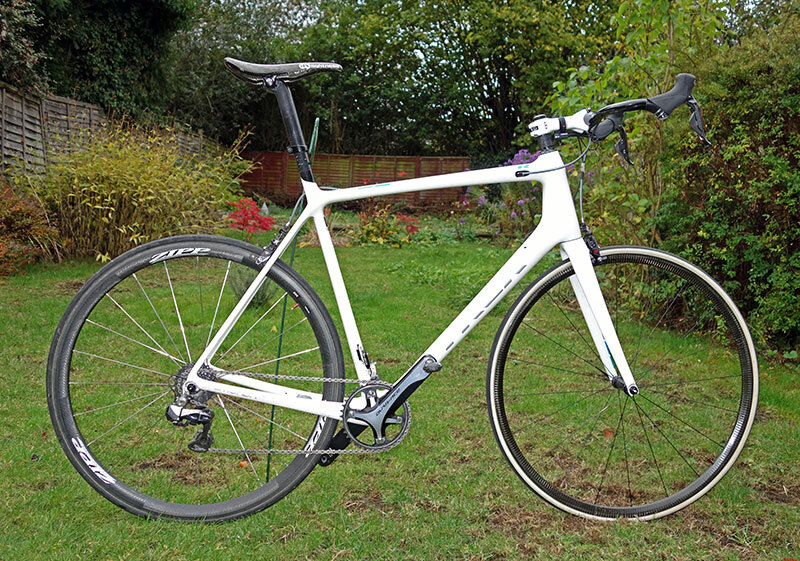 It means that the complete bike, comes in at a fantastically ridiculous weight of 4.6kg. It is also absurdly expensive at £11,000. But, is undoubtedly a smart bit of marketing by Trek- weight is very easy to measure variable – much easier than aerodynamics and strength. The eye catching low weight is excellent to mention in marketing, giving a glean to the whole Emonda range. However, if you don’t fancy spending £11,000 on the new Emonda SLR 10. There are 17 other models to choose from. 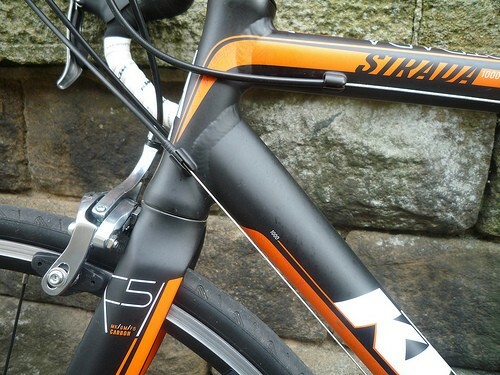 Starting at the Emonda S4 for £1,200 going up in increments of quality, lightness and price. 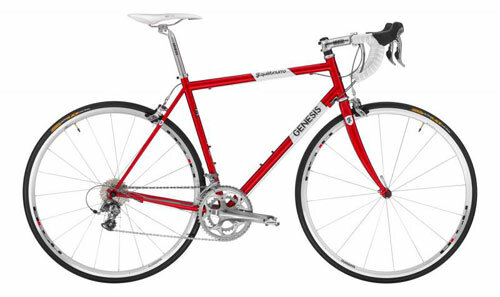 You pay your money and you get a lighter bike.For example the Emonda SLR 6 is £4,300 which uses the same 700 series frame as the SLR 10, but has cheaper components such as Shimano Ultegra groupset. The whole bike still comes in at below the UCI limit of 6.6kg, with potential to reduce weight later. This is certainly a good starting point for a more affordable light weight bike. Another advantage of the Emonda is that you can pick and choose combinations through Project One – if you already have light wheels you can save money there, and keep the cost down. Firstly, the lightness is noticeable. 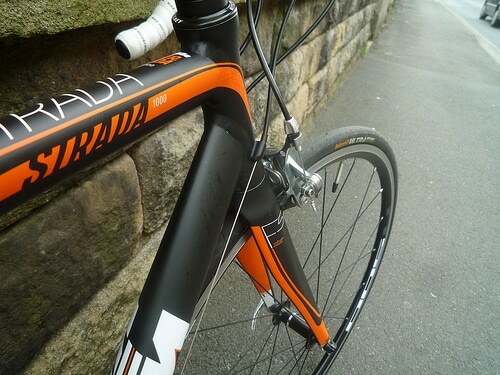 On the smooth surface of Pea Royd Lane, it had fantastic acceleration.I’m used to riding the Madone (2010 model) which is no heavyweight, but the Emonda was a noticeable improvement. For me, that is a big plus. The lower weight has not been sacrificed for any loss of strength and rigidity. Using a simple stress test, it’s hard to notice any lateral movement. Of course, rigidity is harder to measure than weight. But so far, I can Trek’s word for it that it is as strong. Bikes seem to be be getting more expensive as manufacturers find better ways to get us to part with cash. Still the Trek Emonda is reasonably priced compared to similar models. Is it the right bike for you? Certainly there is a great attraction in getting a super-light bike, it definitely makes it easier in the hills. But, bear in mind 0.5kg / 1kg weight saving is not that much, if you’re carrying around 20kg of surplus insulation. Also, bear in mind that aerodynamics can make a bigger difference to your speed. When doing flattish time trials – you learn it’s all about aerodynamics, weight doesn’t really come into it. Aerodynamics is harder to measure than a simple 4.6kg weight value, but in a solo attack, the Madone will be a better choice. In my case, the Emonda is top of my wish list. It ticks all the boxes in what I need from a bike. I definitely want to get one, the problem is that it’s already been an expensive year with a new TT bike. 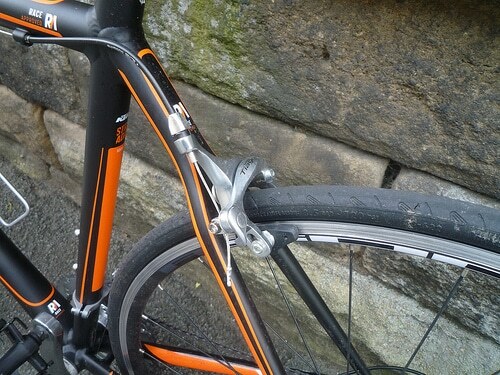 After the national hill climb, my comment was that the Emonda is irritatingly good. Alas, there’s always a new bike to buy! 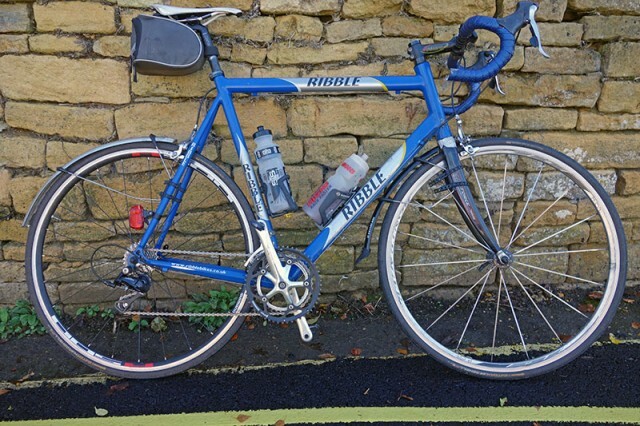 Firstly, thanks to Beeline bikes Oxford for helping me get loan of bike and setting it up. 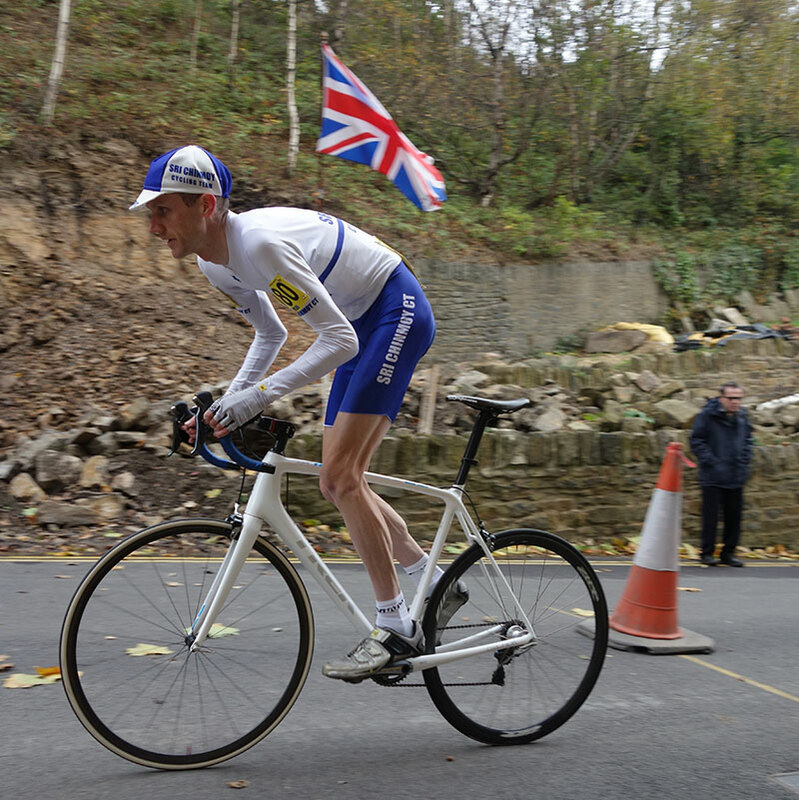 I have been riding a Trek Madone (at 2013 hill climb champs, it weighed about 6.0kg). But, with the new Emonda coming out this summer, I wanted to try and get the new specialist climbing bike for the upcoming national championship. 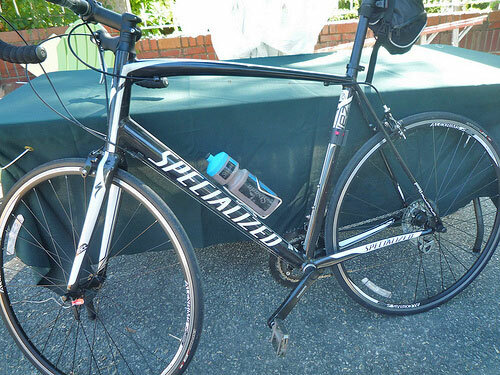 I bought a Specialized Allez in New York from Bellitte bike shop, Jamaica Avenue in New York. I was looking for a good value entry level training bike. My only specification was something that would replicate size and basic performance of my road bike home. The Specialized Allez is in a very different price bracket to my top of the range Dura Ace, Trek Madone – so it’s interesting to be riding a bike at the other end of the spectrum. I was a little surprised at how good this relatively cheap road bike was. It was an eye opener to the fact you can pay a lot of money for a top of the range road bike, but the improvement in quality is not as much as you might expect for the higher cost. 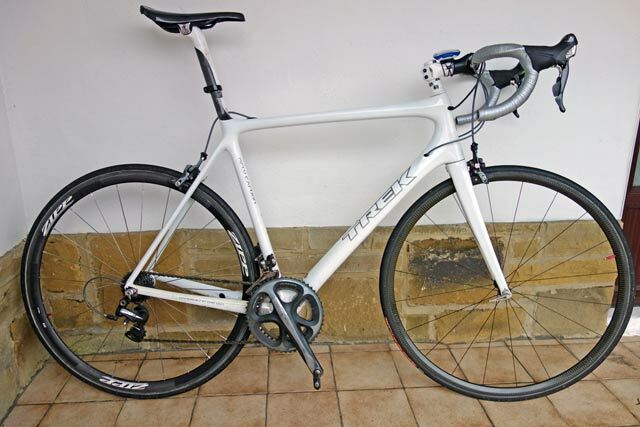 Or looking at it the other way, you can get a pretty good road bike for close to £500. The Specialized Allez replaced a very old 1980 steel Trek I had been riding in New York. It’s was a big step up from that so I was really happy in that sense. It replicates the ride of my road bike back home reasonably well. For the money ($820), I’m very happy. 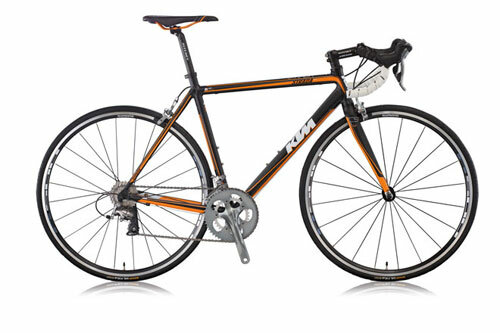 It is an excellent value road bike. It looks good and I like the smooth lines and integration of frame, fork and other components. 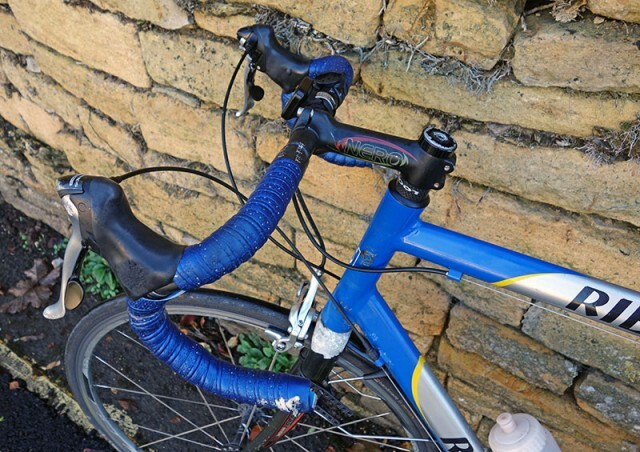 Specialized certainly do smooth well – I real bonus on a £500 bike. No internal cable routing, but you can’t expect that for this price. It looks like it might pass for a much more expensive bike. When I went into the shop, I was determined to buy the cheapest road bike. 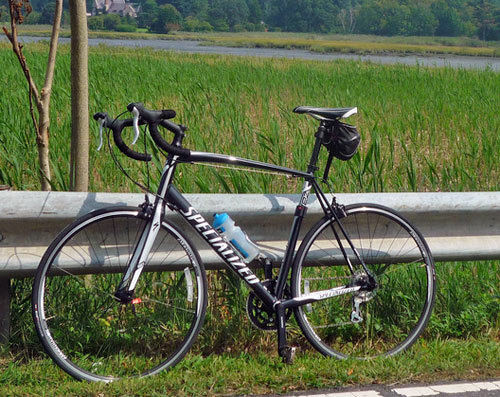 The cheapest road bike was $500, but I really didn’t like it. You could just tell by looking at it, that it wasn’t going to lastThe Specialized Allez was standing out and looked like a proper road bike. That’s the one I wanted to get. I ended up spending $820 (in UK RRP is £550). If you’re lucky you may get the 2014 model for under £500. In the shop, the Genesis Equilibrium looked stunning. You could perhaps describe as understated retro, it looks everything a classic road bike should. It will definitely get a few admiring glances on a club ride and help to stand out from the Aluminium / Carbon fibre crowd. I particularly liked the shiny silver and red colour combination. Nearly everything about the bike looks very impressive. Though perhaps a brooks saddle rather than white Madison saddle, would have completed the ‘retro / classic’ look. Last Sunday, I was out on my winter training hack. I averaged 16.8 mph for 70 miles and that was by sitting on Baines’ wheel for most of the ride Yesterday I went out on time trial bike (with non-aero helmet and wheels) and averaged 21mph for 50 miles over similar terrain. In an incredibly unscientific method of deduction, that’s about 4mph faster on time trial bike. It’s probably not quite that much. My legs felt better yesterday, and there was a little less climbing. But, as a rule of thumb, if you go from a road bike to good time trial set up, you should be able to go 1-3 mph for the same power effort. It depends on many variables. My summer road bike stripped down is a good 1-2 mph faster than a winter training bike with mudguards, creaking gears and heavy road tyres. Maybe there is a psychological benefit that when you get on a time trial bike, which makes you want to pedal faster. How much faster is a TT bike? One of the great debates in cycling is how much faster would an old school time-triallist like Alf Engers have gone on a full time trial bike with dischwheel e.t.c? It’s impossible to say. Some of the 1970s time triallists had their position down to a fine art. It was only really the arm positions which could have been improved on with tribars. Though discwheels and skinsuits would add quite a bit too. In 1978 Alf Engers did a 49.24 for a 25 mile time trial ( 30.3mph / 48.8g km/h). That was before TT bikes, aerobars, discwheels and aero-helmets – to say nothing of wind tunnels and modern nutrition methods. Alf Engers in TT mode. 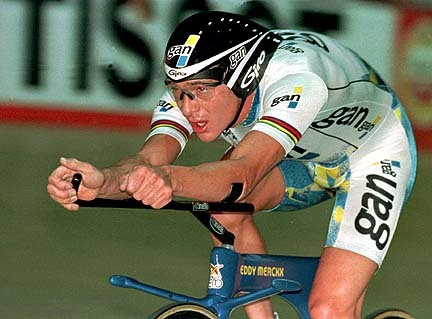 The main benefit of a modern TT set up would have been moving his arms out of the wind-flow. One interesting comparison is Chris Boardman’s hour records. Boardman set hour records of 52.270km and later 56.375 km. This 56.3km stands as the ultimate hour record – using an extreme ‘superman’ position – Boardman was literally flying through the air. That suggests a 7km/h difference between the fastest time-trial position and an ordinary road bike. 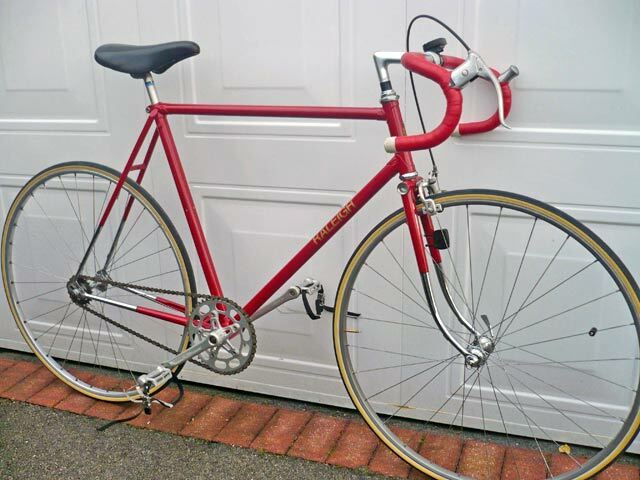 A reader (Ken Stott) kindly sent in a few photos of Eric Wilson’s hill climb bike from the 1950s and 1960s. 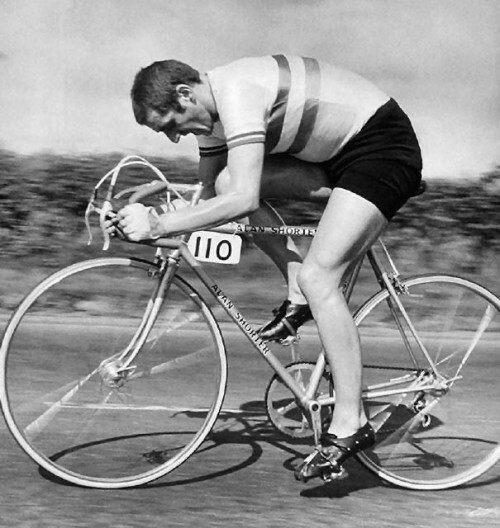 Eric Wilson won four national hill climb championships in 1955, 1957, 1960 and 1964. Four titles over a period of 10 years. Ken still looks after Eric’s bike, though he says he doesn’t ride with quite the speed of Eric Wilson in his prime! Ken says the bike weighs about 18lbs….. (8.1 kg). That’s about 2.1 kg heavier than the average (geared) bike in the national hill climb 2013! The bike is of course fixed. Nearly all hill climbers will have ridden fixed in those days. Though gears were starting to become more popular. John Woodburn became the first rider to win the national 25 mile title on fixed in 1961.